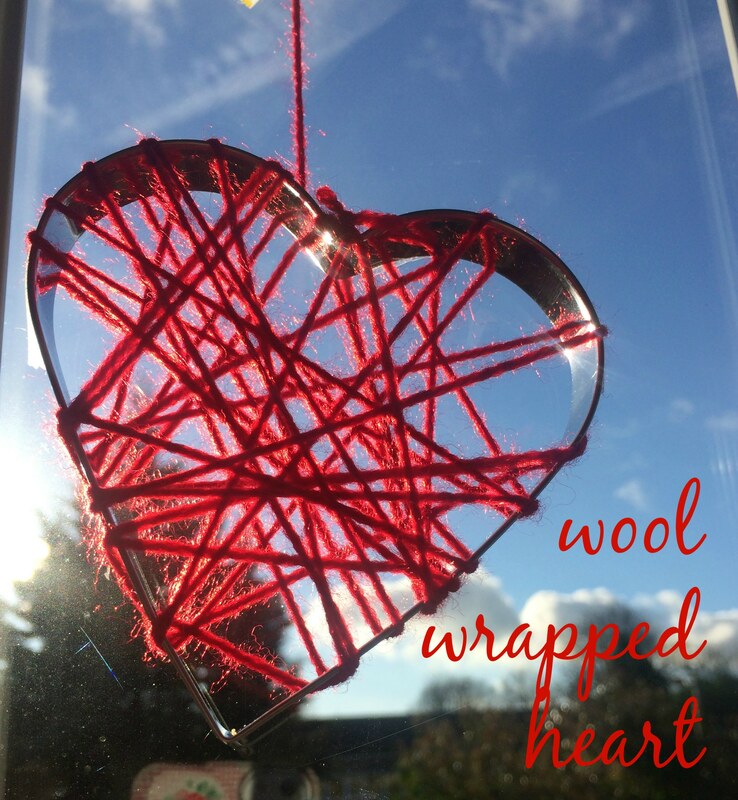 A while ago I pinned a pretty picture of wool hearts. 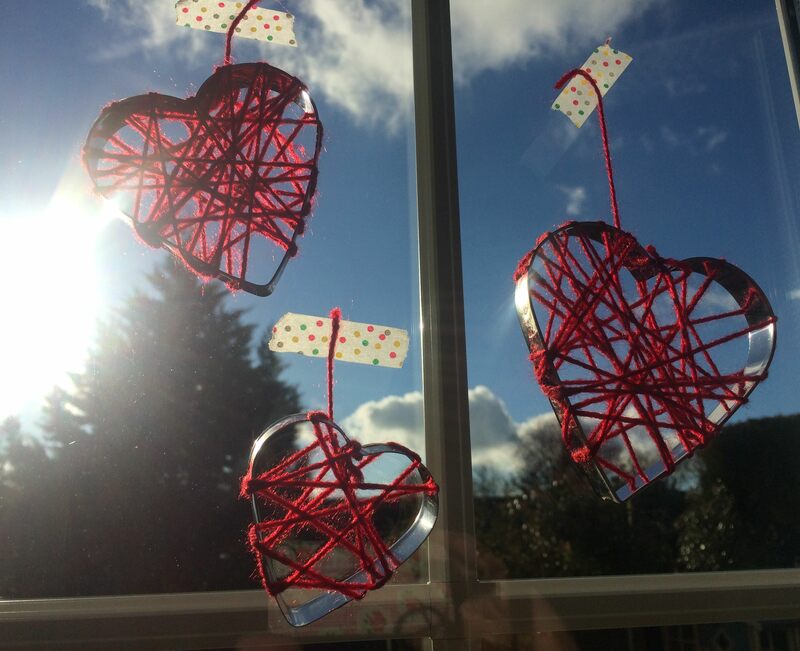 I wanted to try them with my son but the metal heart (made from floral wire) was too fiddly for him to hold and wrap at the same time. Instead we tried using some chunky heart-shaped cookie cutters which were much easier for him to hold. I covered the outside of the cookie cutter in double-sided sticky tape, then he had fun wrapping each one with red wool. When he had finished I tied a knot in the wool at the top of each cutter, leaving a small amount to hang them with. A simple craft with instant results, perfect for my impatient 3 year old. 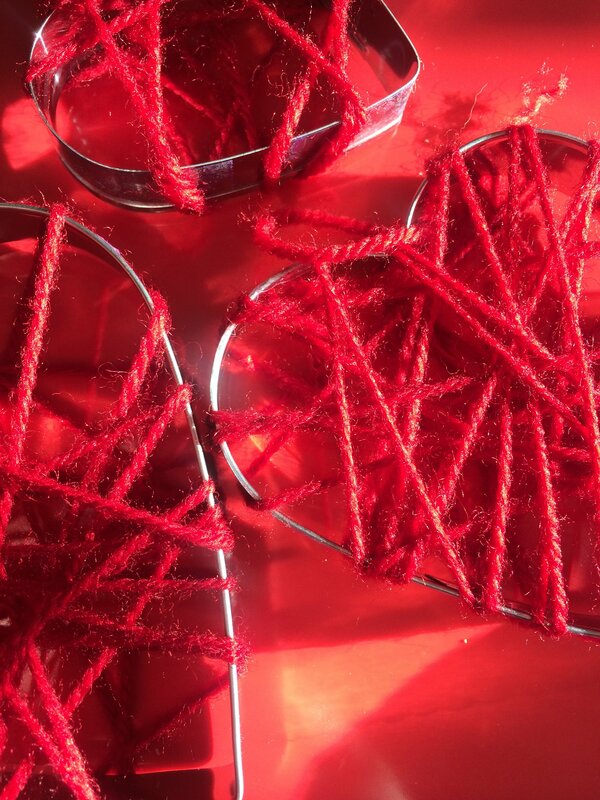 A lovely toddler-friendly Valentine craft to make and give. These are darling hanging in the window. You can make your own by making large loops of normal sticky tape and turning it inside out, that’s what I do when I’ve run out! I love this. It’s so beautiful.